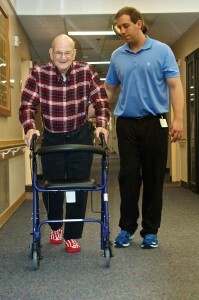 Rehabilitation Services - The Campus of the Jewish Home of Greater Harrisburg, Inc. The Jewish Home is one of the few nursing facilities in Pennsylvania licensed to provide Outpatient Therapies. The Jewish Home is known for its success in rehab services, particularly to those who have undergone orthopedic and other surgeries or who have suffered strokes. 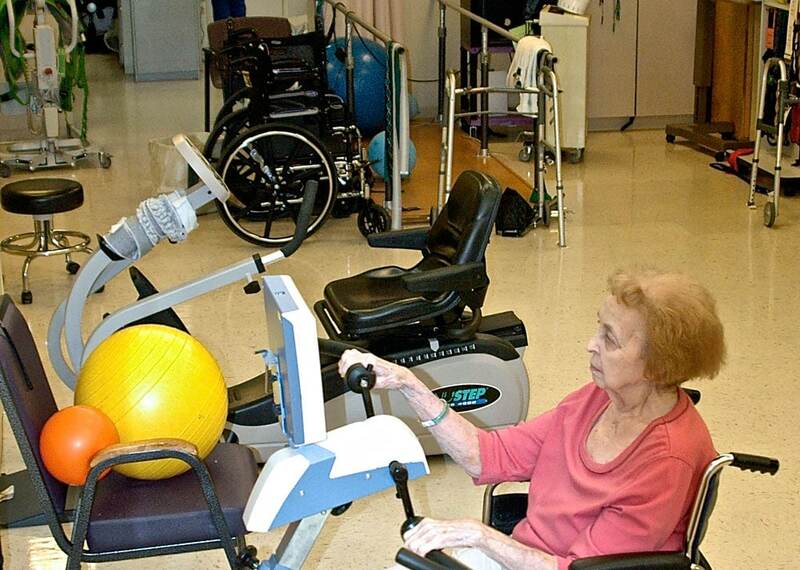 Our rehab residents keep busy in our Therapies area, where they regain strength and practice ambulating. Our residents may also work to increase fine and gross motor skills and the ability to bathe and dress. Many work with our Speech Therapist to relearn speech and swallowing. All rehabilitation services are planned and executed to help residents return to their previous activities. 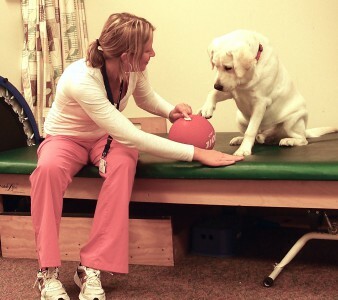 Towards this goal, our therapists conduct admission assessments and monitor progress on a regular basis. Recently, the Therapies area in the Jewish Home was expanded to almost twice its original size. Our PT and OT staff is thrilled to work in the bright new space. There is now much more room for treatments and exercises, and traffic flows much more smoothly than before. There is new equipment and three new exam/treatment cubicles with privacy curtains. More new equipment is en route. Ask us about insurance coverage for rehabilitation services.